One must admit the fact that since the introduction of taxi services like Uber and ride-sharing apps like Ryde and Lyft, people are now more inclined to avail these mobility services. As these services use modern day apps within the reach of your smartphone, radio taxi service like Uber seems to be becoming a prevalent mode of personal transportation. Uber’s services so for, have demonstrated there a real demand for their taxi services. But as the law begins to catch up, Uber needs to prove that it can meet such demands within the legal framework of the regions where it operates. Read on to find whether the Uber taxi services is a boon or bane to the end-users. Apart from offering the best comforts to the community at large, brand Uber has been in the news for some negative reasons in many countries. Inconsistent Fare: Uber fares are not calculated with simple arithmetic. This monetary element has indeed no fewer than six categories such as: the city you are in, the type of vehicle, the base fare, amount per minute, the amount per mile and any other charges that are in effect. When these combos of fares combine to form as total fare, they are far from consistent and make a mess from place to place. The absence of Professional Background Checks: It is very much understandable that Uber might prefer to categorize its fleet drivers as independent contractors, it cannot simply wash its hands off the reality in which it needs its drivers to function. Complaints through many blogs on consumer affairs reveal many pitfalls in the system that background checks for these drivers are not fully adequate and are also absent in some places. Issues with Uber Pool: Though the scheme looks to be beneficial for everyone, chaos still prevails in this utility. Interestingly, both riders, as well as the drivers, cannot understand the Uberpool. According to the drivers, the scheme is worthless as picking two riders for a fare that is much less than two separate rides. On the other side, a rider has to make his or her calculation about the money one could potentially save and weigh it against the likelihood of getting matched with a co-rider. Such confusion still prevails in many places where Uber pooling operates. This specific economics is still confusing for both the riders as well as the drivers. If more complaints are going to pile up, Uber needs to take a decision to roll back this scheme. Such an action with regret will surely save the face of Uber in these hard times. Misleading Uber’s gratuity fees: In a recent court judgement, a US judge has rejected an appeal from Uber to throw out a lawsuit as claimed by a woman passenger. The case curtails to the gratuity fee that Uber charges on some rides. As per the judge, the gratuity fees is surely misleading. Though the services offered by Uber at the global level, is quite laudable, Uber management should not ignore the gap observed in their services as perceived by the Uber riders across the globe. Though the established limo and taxi services were hit hard with Uber and other similar services, they gradually see a “come back” of their customers who prefer safety and reliability over ease and comfort. 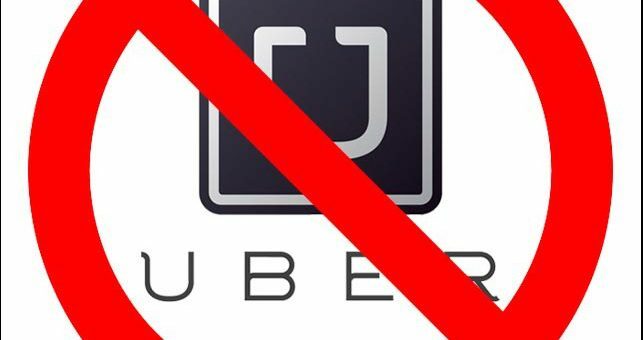 One of A-1 Airport Car’s customers from last 6 years wrote that she would never trust Uber to pick her granddaughter up from her swimming session, she would happily pay the “regular” price to a company she has known since years and knows their drivers, their owners and their complete line of business locally!